Senior pets hold a special place in our hearts. They have shared their lives with us and need some extra TLC as they age. 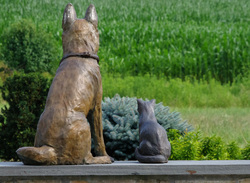 Our goal for senior pets is to provide them with excellent, individualized medical care, pain management if necessary, and enhance their quality of life. 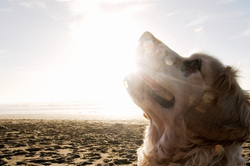 We offer a wide range of senior health care services and we also offer a Senior Health Care Package to ensure that we are doing everything possible to maintain the health of your pet as he or she ages. Our pets age much faster than their human friends and can develop health conditions very quickly. We recommend that senior pets see their doctor more often so that we can diagnose and treat any developing health issues before they threaten your pet’s health. Early detection of illness and disease is critical to living a long and healthy life. Your Pet’s Family Doctor may recommend additional diagnostics, blood screenings, and pain relief medication depending on your pet’s needs. There are no hard and fast rules about when a pet is a senior pet because all pets age at different rates depending on their size, breed, and lifestyle. As the person who has shared their lives with them, it is important to recognize the subtle signs and gradual changes in your pet’s behavior that could indicate they need to visit their doctor. This is especially important for recognizing and treating pain. For long-term pain management we can help assess your pet’s discomfort and create a tailored plan to your pet’s needs. There are a variety of prescription medications in the form of pills, oral liquid, and transdermal forms that can give your pet relief from pain. We can also refer your pet for physical therapy and/or acupuncture.